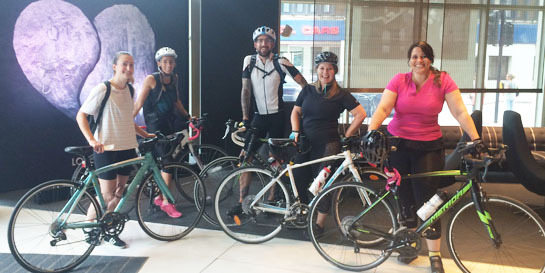 Departing on September 15, the mixed ability group will be joined by four of the Universal Music France team to make a 40-strong peloton who will aid each through the busy streets of London, over the hilly approach to Dover, along the flats of northern France and finally down the iconic Champs-Élysées. 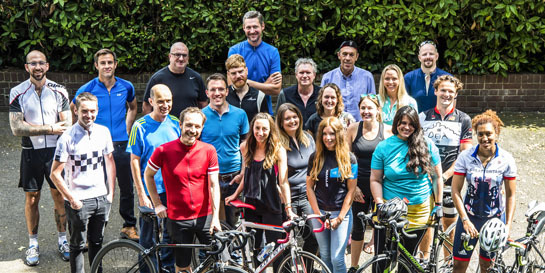 As well as strengthening cross-channel relations, the riders are spending three days in the saddle to raise money for two charities close to the hearts of everyone at the company: Nordoff Robbins and FENVAC. Each rider has been tasked with raising a minimum of £1000 and the group are working towards a grand total of £50,000. Music therapy charity Nordoff Robbins is the largest of its kind in the UK, helping thousands of people every year to overcome a multitude of challenges and conditions and to break down barriers of illness or disability. Fenvac (The French National Federation Of The Victims Of Catastrophes) are a Paris based charity who support the families of victims of tragic events. The charity was instrumental in supporting the families affected by the attacks in French capital that some of Universal’s employees were unfortunately caught up in. All donations are kindly appreciated. You can sponsor the group here.